Our website’s goal is to promote quality physical education through advocacy and free access to information and resources. Our efforts are based on the national standards from SHAPE America; the guidelines for physical education published by national health organizations (American Heart Association, Centers for Disease Control and Prevention, & American Academy of Pediatrics); and the extensive body of research on effective teaching in physical education and the effects of physical activity on the mind and body. We have three guiding principles for the content on our site: ​Provide content in an appealing way - Keep it short and simple - and Make it free! What is a REAL Teacher? Responsible Educators Accountable for Learning are teachers committed to relevant and meaningful quality physical education. REAL teachers use practices that help students develop the skills, knowledge, virtues and dispositions needed to be physically active for the rest of their lives. REAL teachers do not "roll out the ball" or "babysit." They practice their profession with honor and integrity, abstain from using inappropriate teaching practices, follow the standards and guidelines for quality physical education, and continue to learn throughout their careers. REAL teachers are positive role models for children and youth, practicing what they preach by living a healthy active lifestyle. Of the many subjects children study in school, there may be none more important than physical education. However it must be of high quality and aligned with state/national standards and guidelines. A high quality physical education program offers children opportunities to develop the skills, concepts, and dispositions needed to be physically active for life. 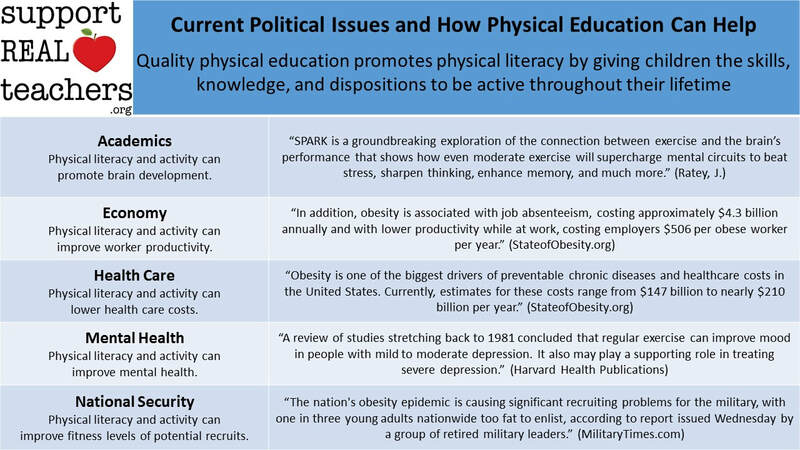 Sufficient, regular physical activity not only helps prevent major diseases but it also promotes learning; reduces stress, anxiety, and depression; and improves overall student wellness. It doesn’t matter if the child excels in every other subject in school and grows up to become a successful doctor/lawyer/engineer/etc., with poor health any professional achievement becomes secondary. 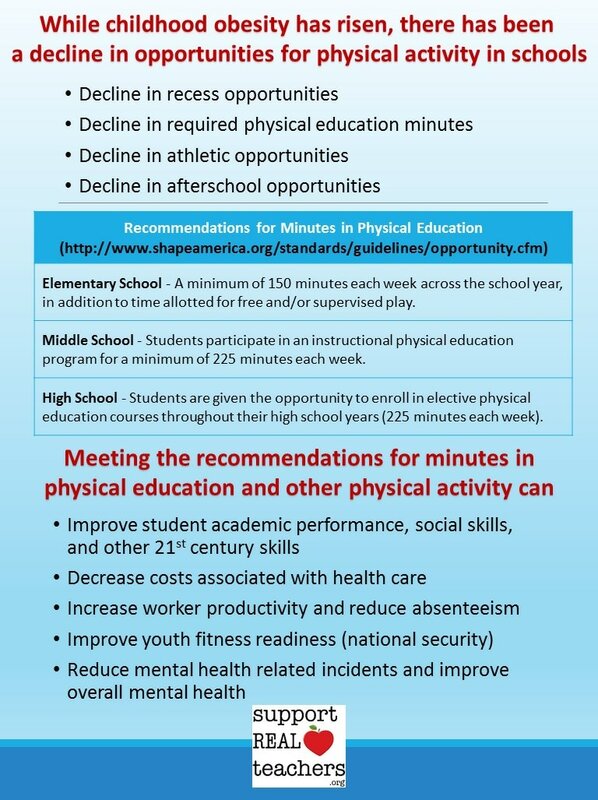 Learn more about the importance of physical education here and what quality physical looks like here.